Just like a car, your sprinklers need an occasional check-up to make sure they’re watering your lawn as efficiently as possible! 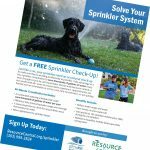 Get your system checked sprinkler consultation by Resource Central, provided FREE to Left Hand Water District Residential customers. Click on the flyer for more information. 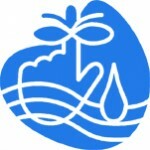 Consultations last about 90 minutes but could help you save thousands of gallons of water each year and keep your lawn healthy. It’s easy to sign up and get long-lasting results! Simply call (303) 999-3824 or sign up at resourcecentral.org/sprinkler to schedule.